FMGE June 2019 – National Board of Examination will conduct the Foreign Medical Qualification June 2019 on June 28, 2019. For this, the notice has been released, can candidates can fill the application form from April 15, 2019, from 07:00 pm onwards to May 06, 2019 at nbe.edu.in. The candidates who want to avail the provisional or permanent registration with the Medical Council of India can apply for the exam. Such candidates have to undergo the FMGE examination. For this the NBE issue the admit card. The result for the FMGE June 2019 will be released on July 31, 2019. Get here all the details of FMGE June 2019. Latest: The application form of FMGE June 2019 is available now. Click here to fill the form. This examination is conducted twice a year, in June and December by NBE. Before filling the application form the candidates have to ensure the eligibility criteria. The below table contains all the important dates of FMGE June 2019. 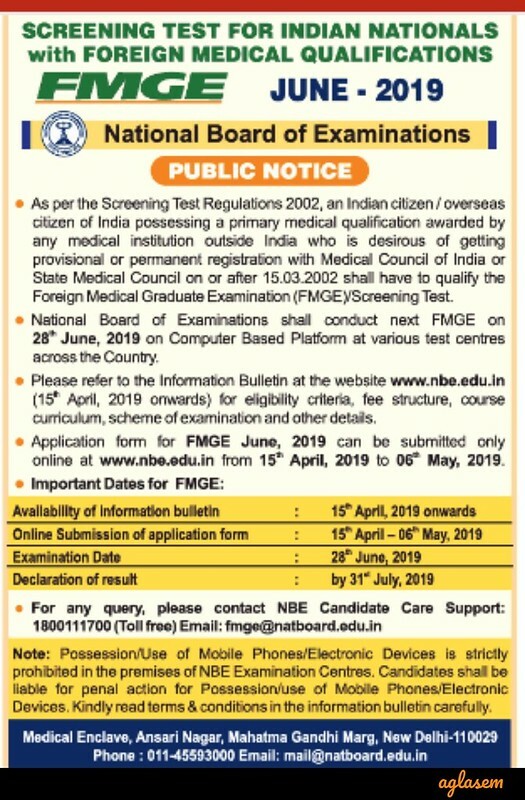 The application form of FMGE June 2019, can be filled from the official website, nbe.edu.in. The candidates ahve to fill the form online if they meet the eligibility criteria. In order, to do the registration the candidates have to pay the application fee. The application fee for FMGE is Rs. 5500/-. The payment of application fee can be made through payment gateway provided using a Credit Card or a Debit Card/ Netbanking. Note: The candidates who will not appear for the examination, the fee will be refunded into their account. But the application fee will not be refunded for such candidates whose candidature either canceled/ ineligible. The candidates who want to appear in the FMGE examination should meet the following criteria. Nationality: The candidate must be Indian / Citizen of India living overseas. The candidates have to provide the certificate confirmed by the Indian Embassy, which certifies the primary medical qualification, which is confirmed by the Indian Embassy. 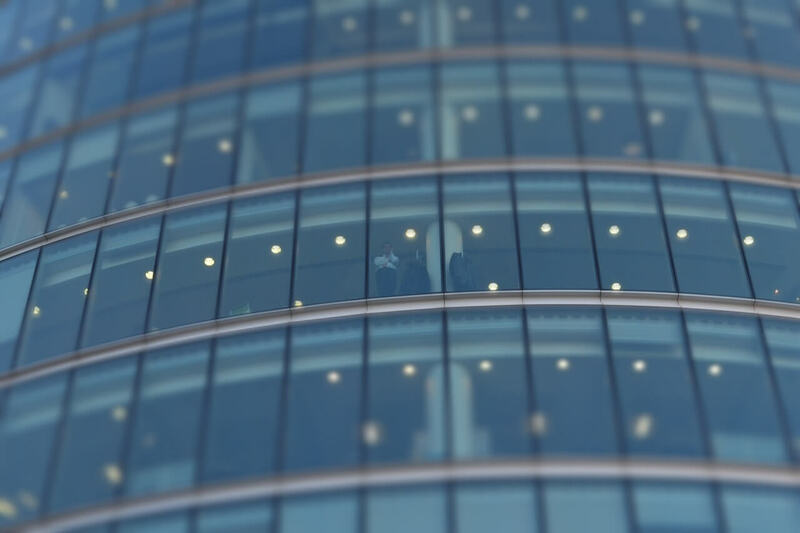 It is compulsory for the candidates to provide documentary proof as evidence that the candidate has passed the final examination of medical qualification on or before the cut-off date. Such candidates who hold the Undergraduate medical qualification from Australia/ Canada/New Zealand/United Kingdom/United States of America, and he/she hold the postgraduate degree from the same country, along with this they are offered the medical practitioner in that country, are exempted to qualify the examination. The candidate who fill the application form within the deadline along with the requisite amount of fee, NBE issue the admit card for such candidates. The intimation regarding the availability of admit card is sent by the officials. The admit card is uploaded on the website of NBE, the candidates have to download it from the website. No, admit card are sent through the post. After downloading the admit card the candidates have to paste a recent passport size photograph on it. On the day of the examination, the candidates have to carry, Photocopy of Permanent / Provisional SMC/MCI registration, printed copy of the admit card, and Government id proof. The candidates have to undergo the online examination which consists of two parts, i.e. A, B. Minimum qualifying marks for FMGE 2019: The candidates shall obtain 150 marks out of 300, then he/she will be treated as the qualified. The Board has provided the proper bell timing for examination, the candidates appearing in the exam should strictly follow the timetable. These are the cities which are identified for the conduction of FMGE 2019 examination in the country. 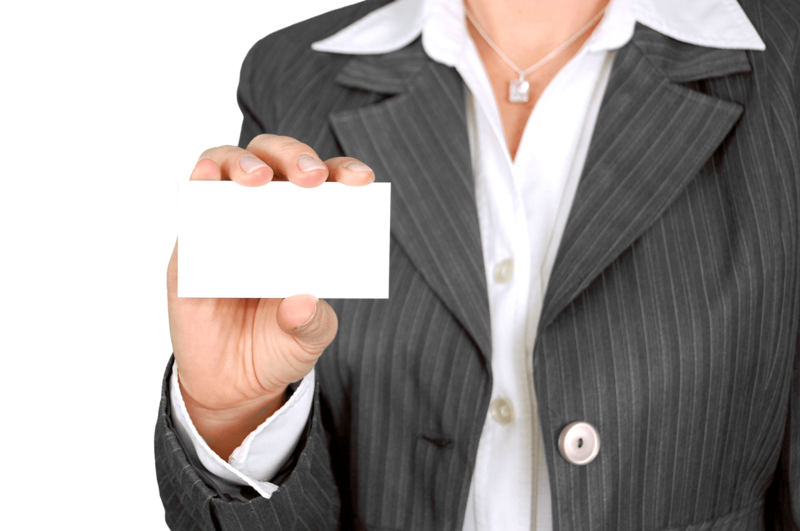 However, the admit card will indicate the exact center of examination. After the successful completion of the examination, the National Board of the examination will release the result of FMGE June Result 2019. The candidates will be able to check the result after the announcement. The result will be released in the form of pdf containing the details of the candidates. As per the official notification of FMGE 2019, the National Board of Education stated that the candidates who opt the 50% marks in the screening test are treated qualified. As the entire paper of FMGE is 300 marks, hence the candidates have to obtain minimum 150 marks in order to qualify the exam. For more information on FMGE June Exam 2019 download advertisement.